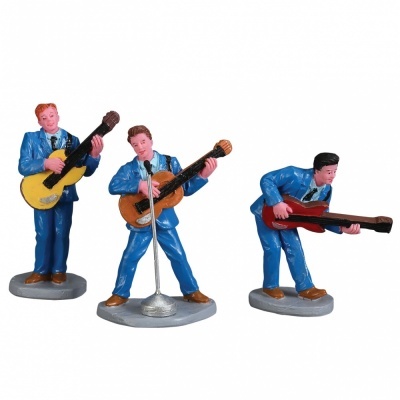 Lemax Shake And Shimmy Figurines Set of 3 depicts a three piece rock'n' roll band putting on a stage show performance. Lemax Jukebox Junction themed figurine set is a newcomer to the Lemax collection in 2017. Comprises three individual hand painted polyresin figures on three individual bases to compliment your seasonal Lemax Village display.